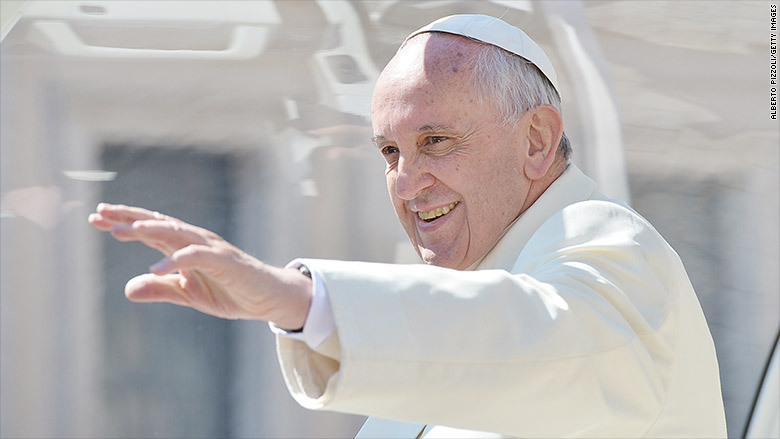 Many of New York's media leaders wish they could interview Pope Francis, according to the Hollywood Reporter. What do BuzzFeed's Ben Smith, CBS News' Scott Pelley, and Vice's Shane Smith have in common? They all dream of interviewing Pope Francis. The Hollywood Reporter released its annual "35 Most Powerful People in New York Media" list on Wednesday along with interesting quotes and tidbits from the leaders. The magazine asked many of NYC's media elite who would be their dream interview. While some said Hillary Clinton and Paul McCartney one of the most frequently mentioned candidates was the pope. "He is probably the most dynamic political, religious, cultural figure the world has seen in the past 50 years," Vice Media CEO Shane Smith said. Smith's version of a heavenly interview was echoed by the likes of BuzzFeed Editor-in-Chief Ben Smith, ABC News President James Goldston, and Jeff Zucker, who is president of this site and CNN Worldwide. "No pope has ever sat for an extended interview, but there hasn't been a pope like this one," Zucker told the magazine. Charlie Rose, anchor of "CBS This Morning," added that he would like to interview Pope Francis and actor Jack Nicholson together. That's a duo only outmatched by "60 Mintues" Executive Producer Jeff Fager's dream get: Pope Francis and Russian President Vladimir Putin in the same interview. For Comedy Central's "The Nightly Show" host Larry Wilmore, the pope would make a perfect candidate for his interview segment "Keep It 100" where Wilmore asks guests to answer 100% honestly to tough questions. "I want to see if he would keep it 100," Wilmore said.